And here’s the actual library as an Evernote shared notebook. So far, it includes elements from my sketchnotes from 2013. I’m looking forward to adding more sketches from previous years and my daily sketches, and redrawing some of the more common terms I’ve seen in other people’s sketches. Enjoy! 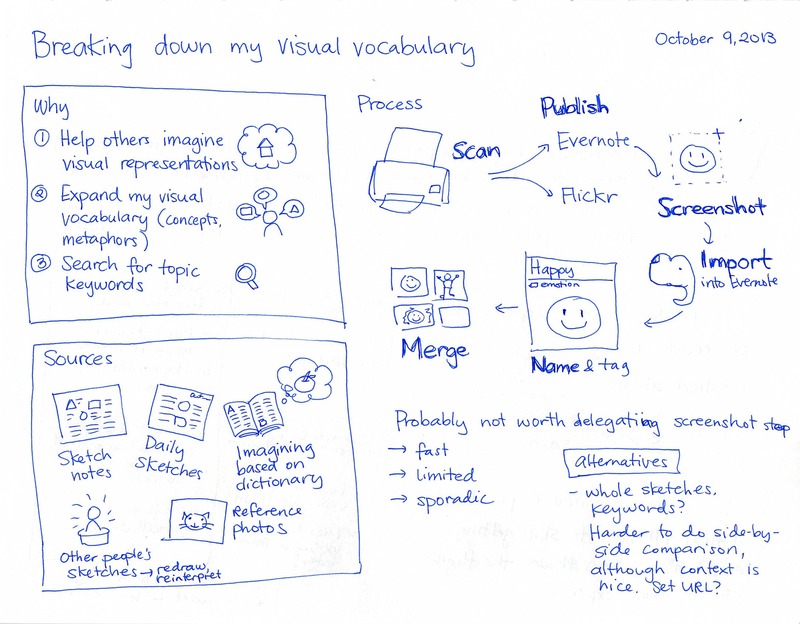 I’d love to see your visual library/dictionary/thesaurus. Evernote looks like an excellent tool for creating and sharing these, and I hope you’ll put one together for yourself too. Feel free to browse through and use mine!